Distribuido en 3 niveles, este apartamento dispone de todo el equipamiento necesario para tu estancia. 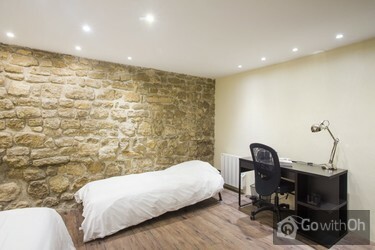 Al entrar encontrarás la cocina, desde la que tendrás acceso a la planta inferior donde se encuentra el primer dormitorio con dos camas individuales (que pueden juntarse para formar una cama doble) y un sofá cama individual. 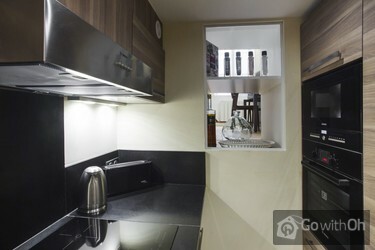 También desde la cocina tendrás acceso al nivel superior, con el salón y otro dormitorio (que da al salón a través de una abertura) y un cuarto de baño con bañera y ducha. 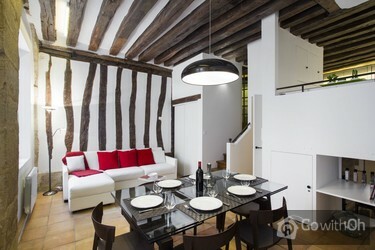 Ubicado en el distrito 4 y a 300 metros de La Bastille, estarás en una de las plazas más bellas de París, Place des Vosges, y quedarás impresionado por sus tesoros arquitectónicos. Podrás disfrutar de una experiencia parisina típica gracias a los numerosos cafés, restaurantes y tiendas cercanas. 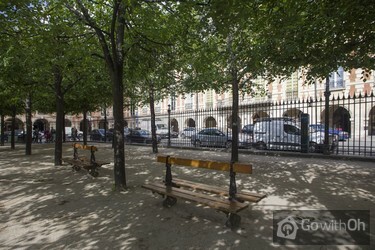 Las paradas de metro Chemin Vert (línea 8), Bréguet Sabin (línea 5) y Saint-Paul, (línea 1) se encuentran a pocos minutos, y también podrás llegar a pie al Museo del Louvre, al Centro Pompidou, al Palacio Real, a Châtelet-Les-Halles y a la Ile de la Cité, con la Catedral de Notre Dame. De las 16h a las 21h. Entre las 21h y las 23h, coste adicional de 30. Después de las 23h, coste adicional de 50. De las 7h30 a las 11h. Entre las 6h30 y las 7h30, coste adicional de 30. Antes de las 6h30, coste adicional de 50. Cuna bajo petición con un coste adicional de 50 (disponibilidad a confirmar con el propietario antes de la llegada). Los costes adicionales se tienen que pagar a la llegada en efectivo. Check in communication was excellent and we were welcomed to the apartment as arranged. 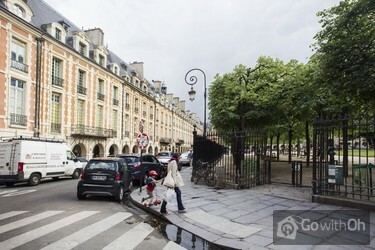 The Apartment is literally across the road from Place des Vosges a lovely old park , one of the finest in the city. 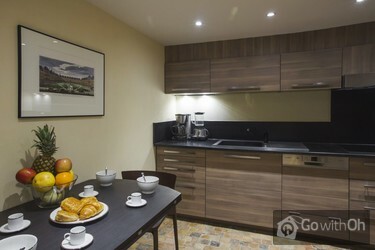 The area is very safe with plenty of shops bars and restaurants .The apartment is ...spacious,spotlessly clean , well decorated and furnished to a very good standard with all the necessary utensils , glasses etc. An excellent selection of books are also available providing useful information on the Parisienne area. Everything is new and appears to have been completed quite recently , the upstairs bathroom with modern deep tub is worthy of a mention. I really really loved this apartment. 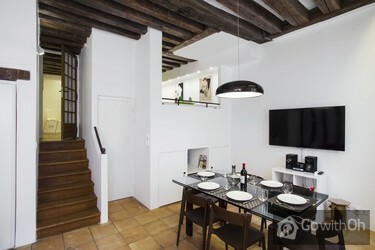 The location was just perfect, the contact person was very friendly and helpful, and the apartment itself had everything I needed. I want to book it again for my next visit to October, hopefully it is still available. Highly recommendable. Lage der Ferienwohnung ist top! 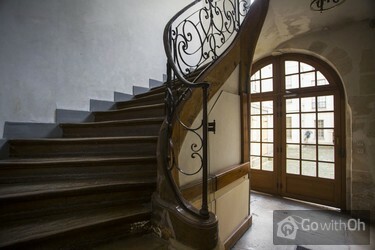 Direkt am Place des Vosges, typischer pariser Altbau, komplett und hochwertig saniert, sehr gut ausgestattet und sauber! Im Hinterhof gelegen, somit schön ruhig. Viele gute Restaurants und Bars, alles gut zu Fuß erreichbar.Ein Punkt Abzug gibt es dafür, dass die ...Badezimmerdecke sehr tiefe ist. Leute über 1,80m dürften dort Probleme haben, sich noch richtig zu duschen. Außerdem riecht es im Bad aus dem Abfluss (scheint in der Gegend ein recht häufiges Problem zu sein. Vielleicht lag es auch am warmen Wetter?) und das Schlafzimmer im Kellergeschoss hat kein Tageslicht/Frischluft, sodass es trotz Lüftungsanlage schon recht "muffig" wird, wenn dort geschlafen wird. Trotzdem ist die Wohnung absolut empfehlenswert!Kontaktperson war nett und Übergabe war top! 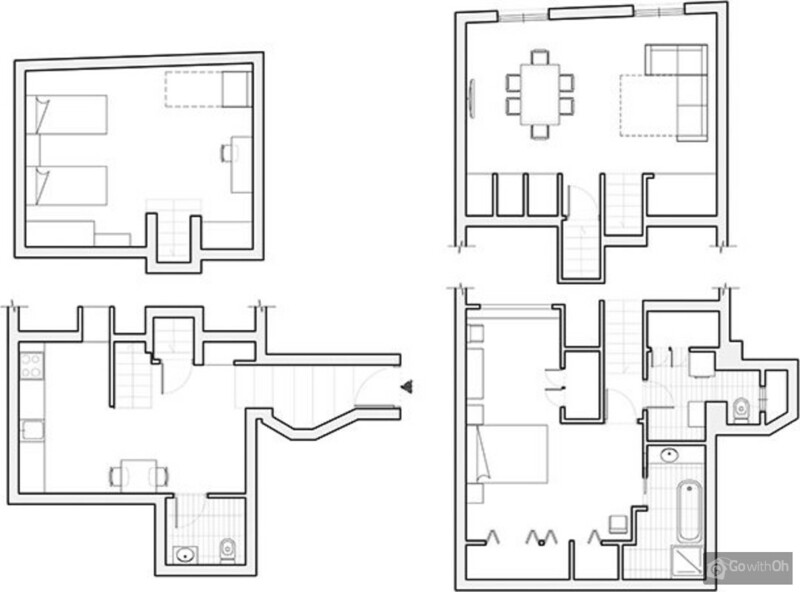 Happy with the apartment - bathroom location in top bedroom was not ideal but manageable. 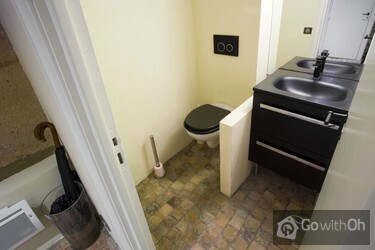 Great location and well equipped. Very happy with communication and flexible with meeting us earlier than planned. Very comfortable for a family with kids. Location desirable. Clean and upgraded appliances.Downside, only one small shower for a large apartment for 7.Dryer on the washing machine not hooked up. Dear customer, we appreciate and value your feedback. The owner confirms that the washing machine has a dryer option and that its working perfectly. 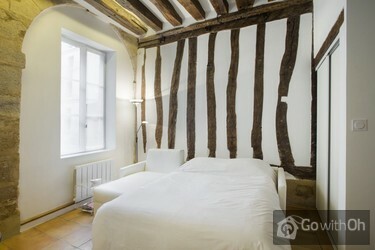 Place des Vosges è un posto fantastico , la casa accogliente e dotata di tutti i comfort, vicino alla metro , comodi i supermercati ... M e Cortese e puntuale ...Un Natale da sogno ! 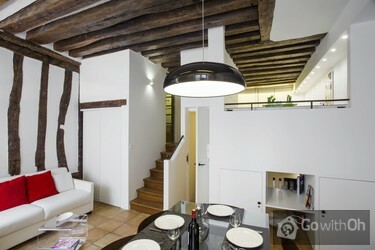 The location and comfort of the apartment were exceptional. 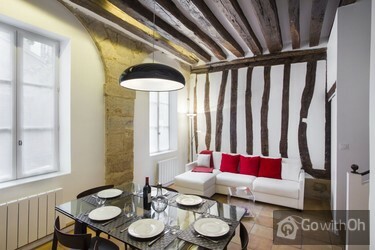 The Place de Voges is a very chic location. Excellent location . Small problem with noice , when there is somebody on up floor . Doors are not moving smooth and noicy as well , especially in the night , when the apartment is quite.Contacting before arrival by phone and mail , was good opportunity to understand what need to know and follow ...when rent apartment . Thank's to M - lady which serve us with keys on deprture . 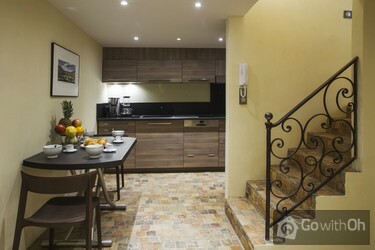 Beautiful apartment in a wonderful location. Couldn't have asked for more! The owner was extremely helpful before we travelled and upon arrival. 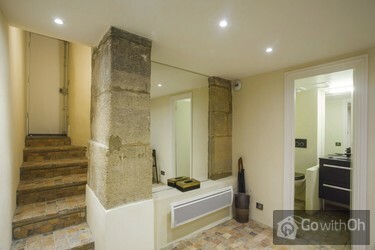 We couldn't fault this fantastic apartment. 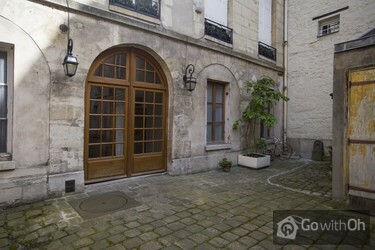 A beautiful, peaceful location in the heart of Paris. Lots of lovely independent cafés and shops nearby, but the apartment is very quiet, secure and safe. 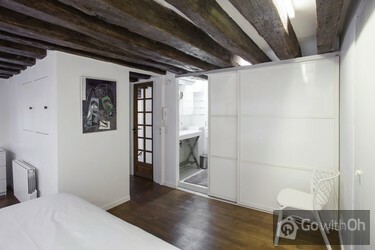 Contemporary, stylish apartment with all mod cons. Everything worked with no problems. Good wifi, TV... and hifi. Just 3 of us, so we had lots of space. Sleeping 7 might be a squeeze. Taxi from Gare du Nord was 30 and back to Gare du Nord was 11. Will definitely book again. Lady who met us was very helpful and it was useful to get shown around the apartment, etc. 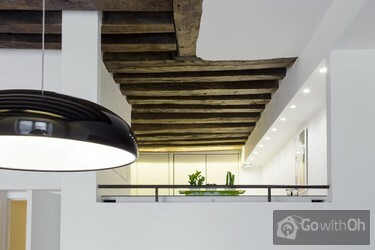 El apartamento excelente muy bien ubicado, cómodo, seguro, tiene todo lo necesario para una estancia espectacular, nos pareció hermoso y con detalles modernos en un lugar con mucha historia. 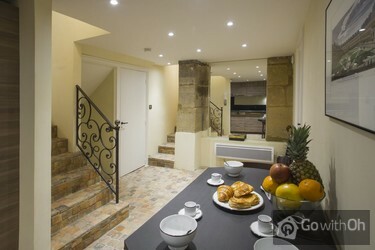 Everything about our stay was perfect; to be able to stay in accommodation seeped in such history was a highlight for us, the location was close enough to iconic sights to either walk or take the metro and the apartment was very clean with great amenities. Place des Vosges is also very quiet so ...perfect for our family to sleep after 20+ hours of travel. 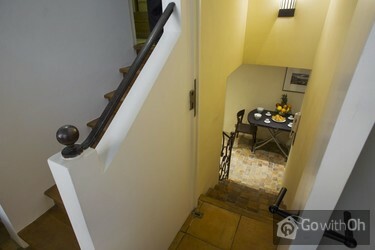 The apartment owner was very helpful through out all stages of our booking. Highly recommended! 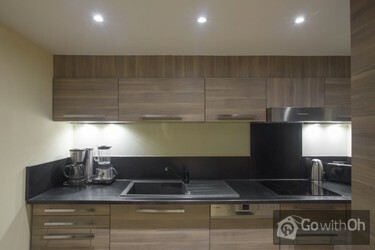 Nos encanto el apartamento , esta muy bien arreglado , no le falta detalle , limpio , cómodo y muy bien ubicado . La única pega que yo le pondría es mejorar la información del parking de la zona y que una de las habitaciones es interior sin ventana , tiene un sistema de ventilación , pero se compensa con el resto de la casa . 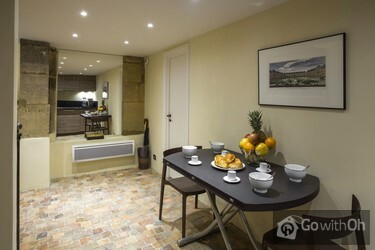 A gorgeous location with a lovely, spacious apartment. The location was our favourite part of Paris so a dream. We adored it!It may not be changeable with this style of building, but the only part that would improve the accommodation would be windows that could be left safely open in the evening to provide air at night. .
Un apartamento precioso, una ubicación excepcional. Muy poco ruidoso, y muy agradable. La persona de contacto, muy amable, estaba esperándonos antes de la hora prevista de llegada. El único inconveniente es que ducha y bañera están en la misma estancia, así que hay que organizarse. Eso sí, ...hay dos váteres, y están en espacios separado. Muy recomendable! La comodidad de la llegada: la persona que nos entregaba las llaves estaba esperándonos y el día de salida, simplemente dejamos las llaves dentro. Einfach prima: viel Platz für sieben Personen, sehr ruhig, gute Aussattung und das Mitten in Paris! Die Wohnung ist offen (Galerie/Durchreiche zur Küche/keine Tür am unteren Zimmer), was sehr schön ist, aber nachteilig sein könnte, falls Kids/Teens mal ihre Ruhe habebn wollten ;)Gerne wieder mal! Ein sehr schönes Appartment in einem tollen Viertel. Wir waren zu sechst und waren mehr als zufrieden.